Find homes for sale Anywhere In Hampton Roads Virginia! In the location field below, enter a local zip code, street address or an mls number to find nearby properties for sale. Narrow your search by using the criteria fields, and be sure to look at the walkscore on those that interest you. Make sure to narrow your search by neighborhood, price or other fields as each search will limit how many you see. Price range is often the most important as searching within your budget will provide the most relevant results. Homes For Sale From The Virginia Beach Oceanfront To Suffolk. Don Maclary – Realtor with Howard Hanna William E. Wood is committed to helping you find your dream home, when moving anywhere in Hampton Roads – Virginia Beach Real Estate, Norfolk, Suffolk, Portsmouth and Chesapeake Virginia. Whether you are ready to relocate and search homes, sell your current property or invest in real estate, Don has the tools to help you with your goal – Online Target Marketing, Property Wizard, Google Mapping Property Search, Mobile Search and Walkability / Walk Score ability. We strive to make your real estate transaction as easy as possible, and we hope our Google Mapping capability and property wizard email systems makes the process enjoyable. With years of experience and master negotiation skills, Don Maclary has the necessary skills, resources and insights needed to help his clients buy and sell homes to ensure maximum benefit. Howard Hanna William E Wood is one of the largest and most successful real estate firms in Hampton Roads providing You with optimal support in each and every transaction. 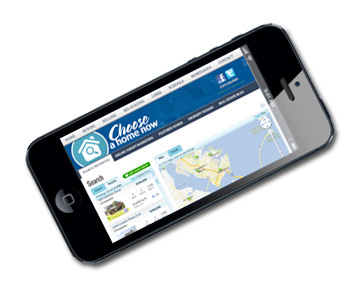 Use of the internet and cutting-edge technology along with Choose A Home Team and Howard Hanna William E. Wood’s resources to help you save time and better your Hampton Roads Real Estate Experience. Serving Hampton Roads from the Virginia Beach Oceanfront to Suffolk, Local Home Buying, Home Selling, Investing or Coast to Coast Relocation .… call Don Maclary – Realtor Today!